I first met Sam in Chiang Mai,for an intensive course devoted to the Yang-style short form.Sam truly is masterful in his Tai Chi knowledge and skills. He is an astute and attentive teacher,flexibly vesponsive to the needs of the student,open to questions,and he has a fine sense of humour.He is also very serious about Tai Chi,and an out standing teacher. I am not the ablest student of Tai Chi,for sure,yet Sam led me throuth the Yang-style form in a way that produced greater progress than I would have thought possible. 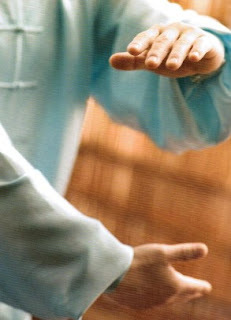 I enthusiatically recommend Sam as a Tai Chi teacher. For anyone learning from him, it will be a most rewarding and satisfoctory experience.